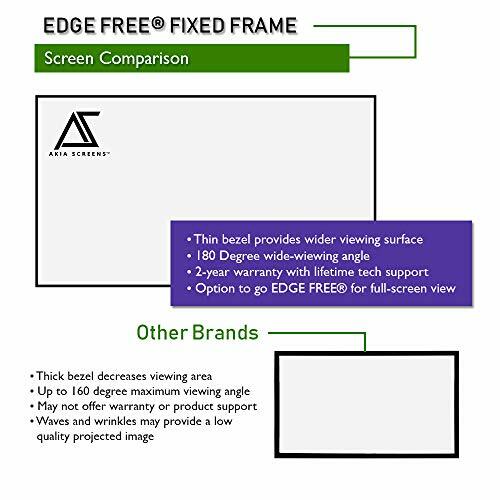 What Is The Best Projector Screen For Your Church Or Venue? Conclusion – Which Church Projector Screen Should You Buy? A projector may not produce a quality image without a quality projector screen. When you choose a cheap, inferior screen, you may notice that your image is fuzzy or blurry. This is due to the thin material allowing light to pass through the screen. While screen size is an important detail to consider, there are many other features to pay attention to, including the screen surface. The screen that you choose should offer a pristine backdrop. These screens are typically made from thick, durable material. By preventing light from penetrating the screen, you ensure that the image does not become slightly opaque, which typically creates a blurry image and reduces contrast. You also need a screen that is easy to clean and unlikely to tear. Thin material may get snagged and tear easily, which is difficult to repair. 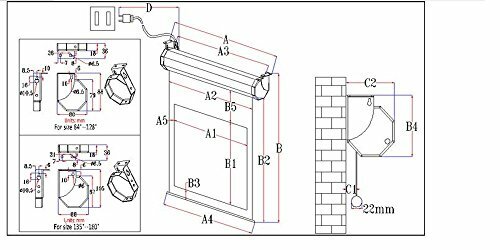 When choosing a motorized projector screen, the design of the motorized frame is also important. 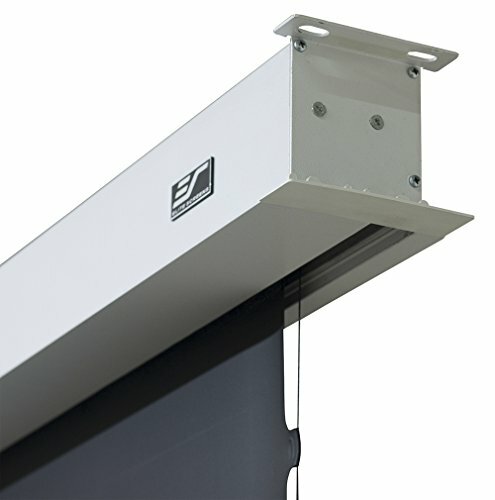 Some screens include remote operation, recessed installation, and smooth opening and closing. The ease of installation can also vary. 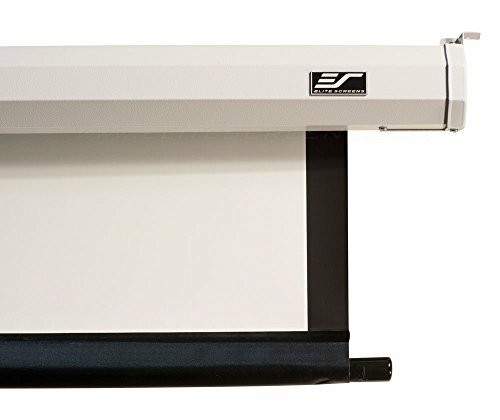 Motorized projector screens need to be mounted to a wall or ceiling. If you prefer easy installation, you may need a screen that comes equipped with all the necessary installation hardware. Finding a projector screen that possesses all these features can be a challenge. To help you select the right screen, the following screens provide a range of options to suit any budget. They include the best overall screen, along with several alternative choices. If you want to enjoy a crystal-clear HD display, review the best options for motorized projector screens. People love this screen due to its brilliantly white surface. 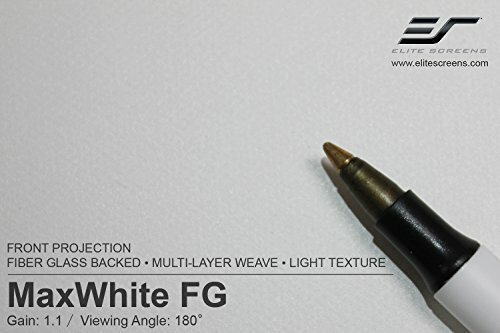 The MaxWhite material is a step down from the MaxWhite FG found in some of the more expensive options. It has a slightly thicker grain, which slightly reduces the clarity provided with this screen. However, it still provides a suitable surface for HD displays in a variety of settings, including partially darkened rooms. The screen is also durable and easy to clean. The thick material is unlikely to rip or tear and can easily be cleaned with soap and water. 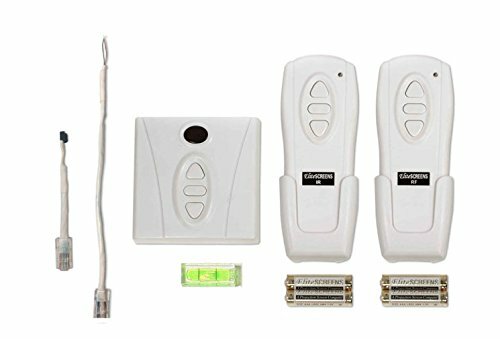 You also get two remote controls, including an infrared remote and an RF remote. You can also install the detachable three-way wall switch for easy operation. 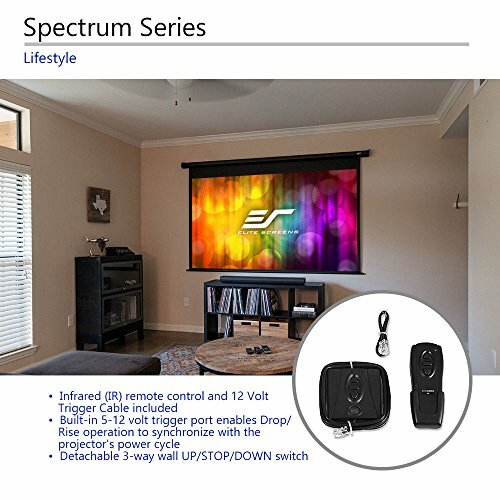 Along with the remotes, this projector screen comes equipped with the installation hardware for mounting it to your wall or ceiling. 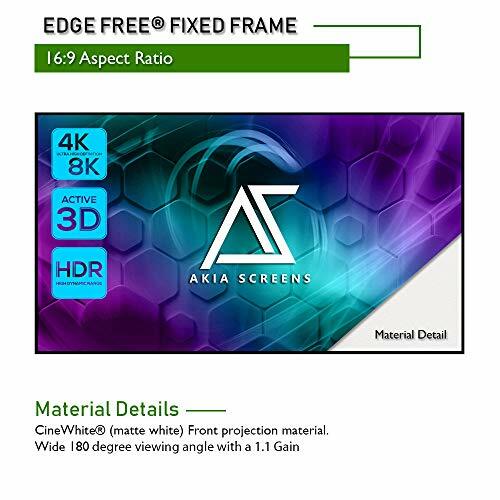 The screen material is rated for 4K Ultra HD viewing. However, most customers agree that this screen is best suited for 1080p HD or lower resolutions. It lacks the high-contrast surface provided by some of the high-end options. However, it is still clearer than most of the budget screens. 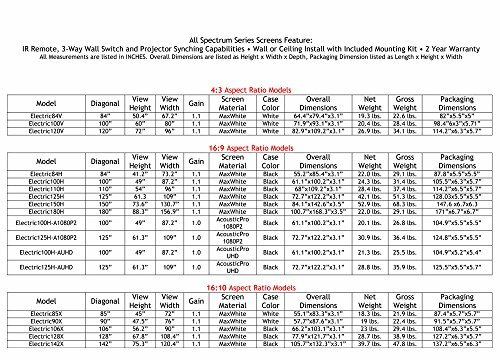 The Spectrum 100-Inch Projector Screen provides the best value due to the overall quality of the screen and motor and the lower price tag. 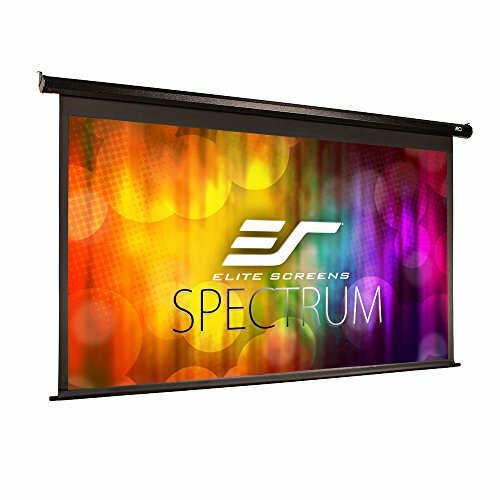 You get many of the features that are included with the high-end Elite Screens projector screens at a fraction of the price. 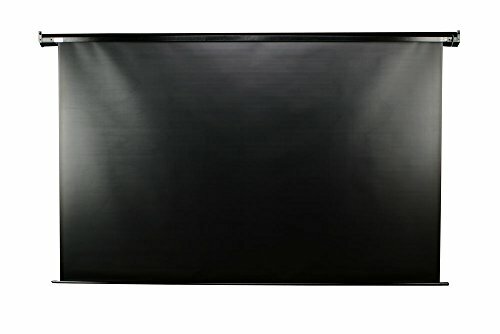 This is a large projector screen that can easily be mounted to your wall or ceiling. The casing is also durable, featuring steel casing with plastic caps on the ends. The steel casing also protects the motor, which provides whisper quiet operation and smooth opening and closing. You also get a decent HD display with this screen. However, it may not look as great when trying to display a 4K Ultra HD video. 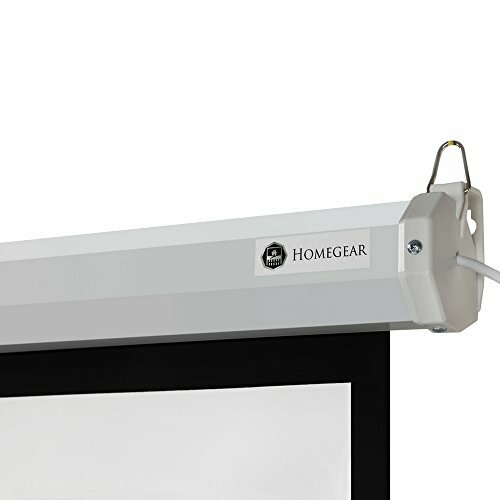 The Homegear 110-Inch HD Projector Screen has a couple of disadvantages, which is to be expected with the lower price. These drawbacks include the viewing angle, contrast, and durability. The viewing angle is limited to 160 degrees, which means you cannot sit close to the side of the screen and still view the image. This is a minor drawback. However, most of the other options provide a 180-degree viewing angle. The other issue is the contrast. 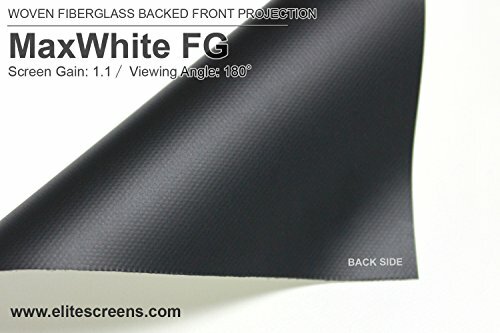 Due to its lower price, this screen is made with slightly inferior materials compared to the high-end options. It lacks some of the contrast found in other screens and may rip easily when the screen is not properly cared for. 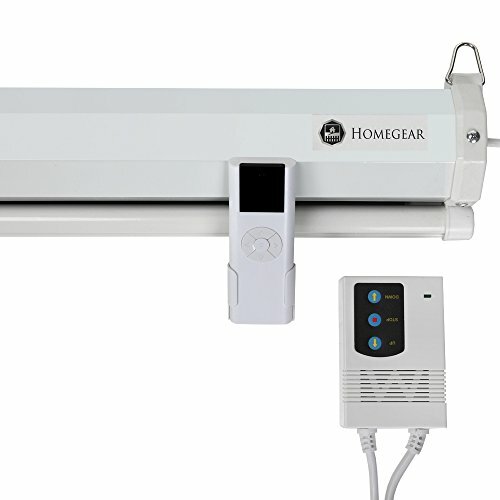 When you cannot afford to spend hundreds of dollars on a professional-quality projector screen, the Homegear 110-Inch Screen is a fantastic choice. It is the best option when you have a limited budget, as you still get a quality display and a large screen. 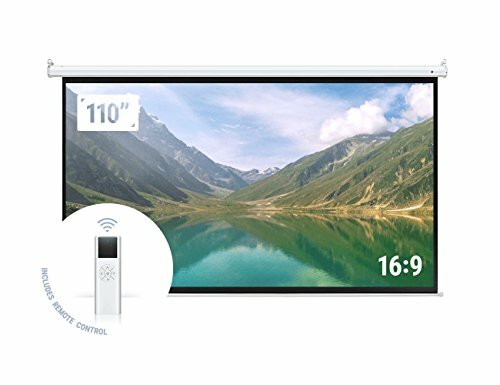 120-inch Diagonal Viewing Size, 16:9 HD Format Aspect Ratio 58.9" H x 104.6" W Viewing Size with a 8-inch Black Masking Drop. Overall Size: 74.5" H x 119.4" W x 4.3" D in a White Finished Case. 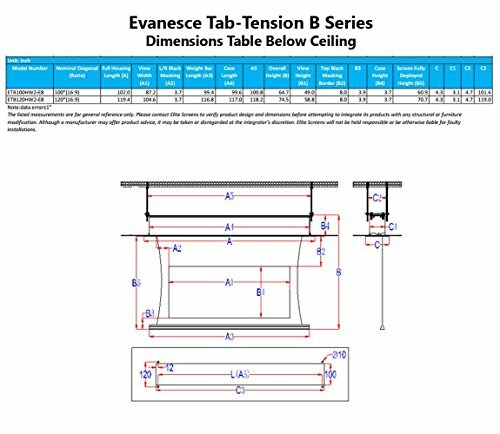 In-Ceiling Recessed Tab-Tensioned Projection Screen for Concealed Installs. 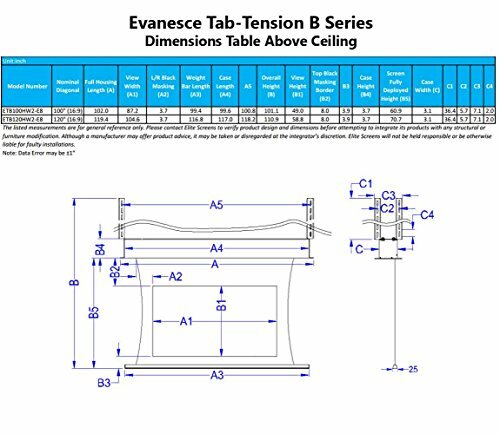 The Tab-Tension System Maintains Flatness Uniformity Throughout the Entire Surface Making for A Spectucular Viewing Surface without Any Surface Distractrions. FEATURES: White Finished Moisture Resistant Aluminum Casing, Powerfull Long Lasting Tubular Motor, and Easy to Operate Remote Control System. 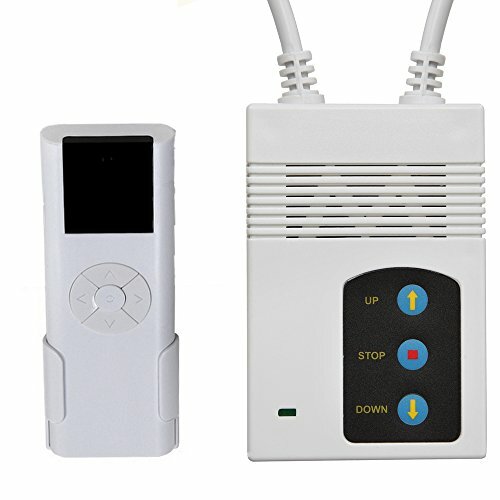 INCLUDES: IR and RF Remotes Remotes, 3-Way Wall Switch, In-Wall RJ45 Module and 5-12V trigger. 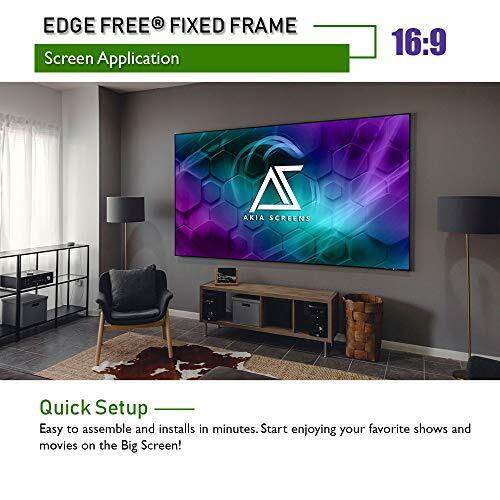 The Evanesce B 120-Inch Screen offers several advantages, including the material used to produce the crystal-clear screen. 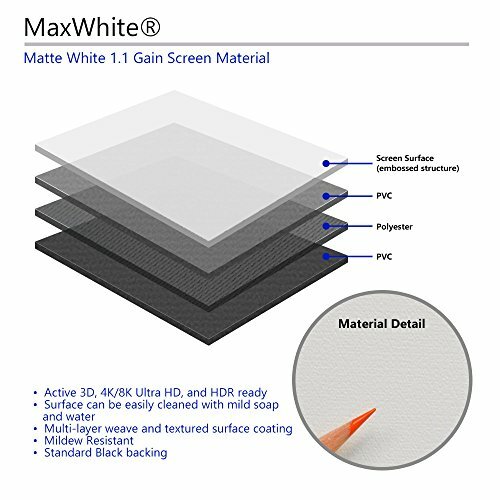 It is made from a durable material called MaxWhite FG. 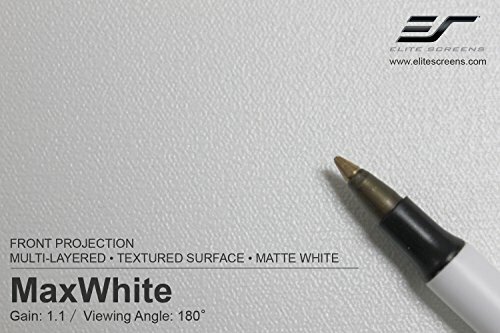 It features a brilliant white surface with a matte finish. 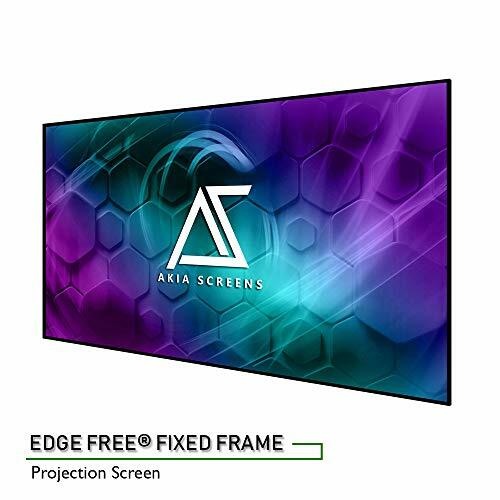 This projector screen also has fiberglass backing, which enhances the durability of the screen and prevents light from shining through the screen. The black-backed material ensures that you get greater contrast. 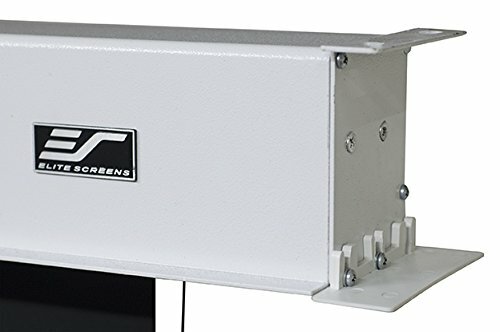 Like most motorized projector screens, this screen is designed for mounting on a wall or in a ceiling. You get everything that you need to complete the installation in a ceiling. However, you may need different screws and brackets to mount it to a wall. Most customers agree that installation is easy. 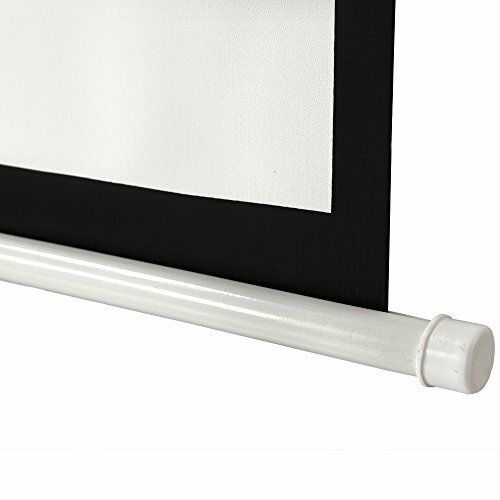 When properly installed, the screen should smoothly open and close thanks to the high-quality tubular motor. Along with smooth operation, the motor is also incredibly quiet. You also get two different remote controls for operating the motor. You get an infrared remote and an RF remote. 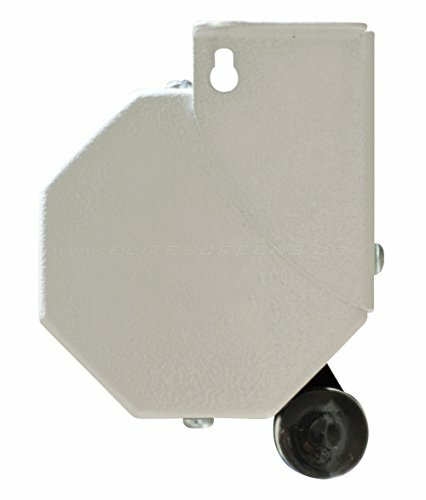 With the RF remote, you do not need to point the remote directly at the motor to open and close the screen. The only drawback to the 120-Inch Elite Screens projector screen is the cost. 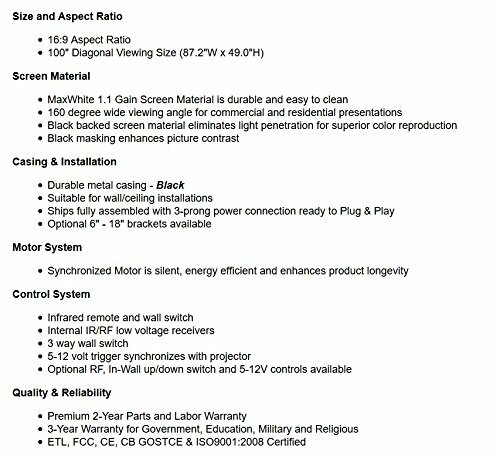 While this is the best overall motorized screen, it is also the most expensive. The higher price tag is still reasonable, due to the high contrast backdrop that you get. 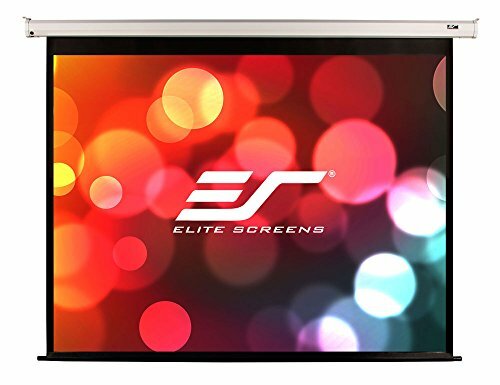 Overall, the Elite Screens Evanesce B 120-Inch Projector Screen is the best choice. It offers the greatest clarity and contrast compared to your other options, which are the main details that matter with a quality motorized projector screen. 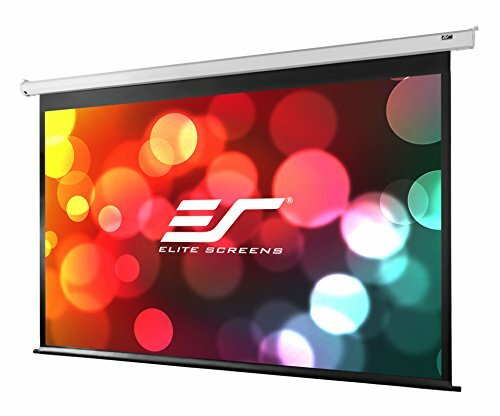 Elite Screens produces another 120-inch motorized projector screen that costs a couple hundred dollars less than the Evanesce B projector screen. 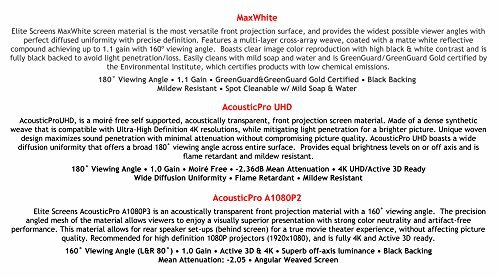 There are not a lot of noticeable differences between these two projectors. Both screens allow for clear HD images and video, including 4K Ultra HD. However, some users feel that the Evanesce B offers slightly better clarity. While the Elite Screens VMAX2 is a step down from the top choice, it is a couple hundred dollars cheaper. The screen is still far superior to some of the other options, ensuring that you get an HD display in most settings, even if a little bit of light shines through. Besides the price, the VMAX2 offers another advantage over the Evanesce B. The motorized casing is made from metal, while the Evanesce B features plastic parts. The metal casing should hold up better, which may be useful when used in a classroom or your home theater. 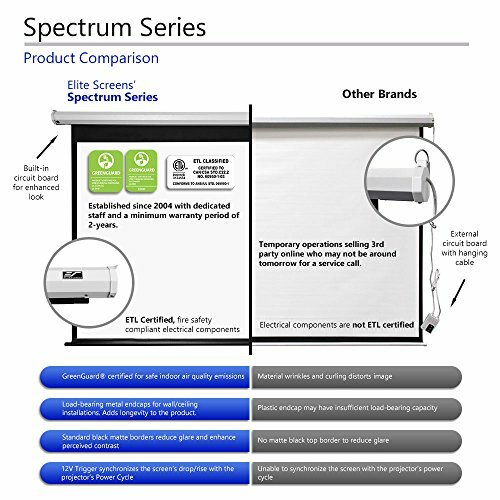 The Elite Screens VMAX2 also includes some of the features that make the Evanesce a great choice. For example, you get infrared and RF remote controls, along with a quality screen that is mildew resistant and easy to clean. 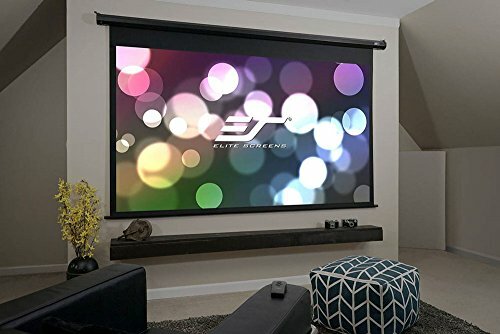 This motorized projector screen is a close second place to the Evanesce B Projector Screen. In fact, some people may not notice the difference in picture clarity when viewing them side-by-side. 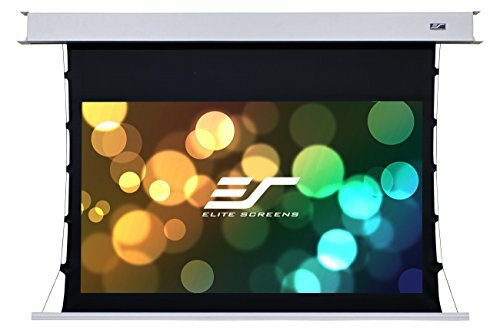 If you want the best but do not want to spend the money on the Evanesce B, this screen is your best alternative option. 【SIZE】：This projector Screen is 100-inch Diagonal, 49-inch H x 87.2-inch W Viewing Size; 16:9 HD Format Aspect Ratio. 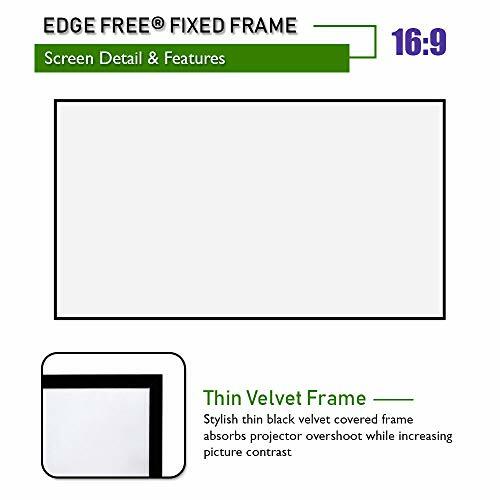 Overall Assembled Size: 50.0-inch H x 88.2-inch W with Thin Velvet Border Strip. 【QUALITY】：CineWhite, 1.1 Gain. 4K Ultra HD and Active 3D Projection Ready. 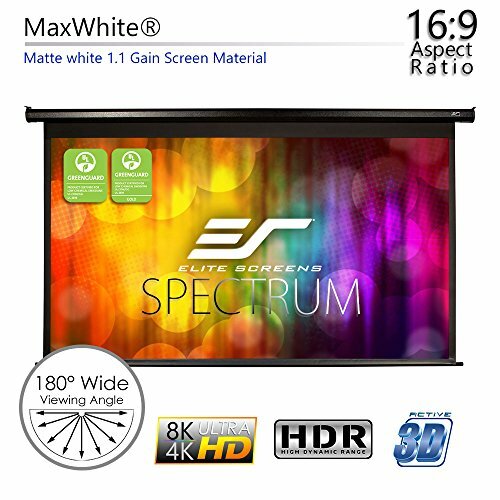 Features 160 degree viewing angle with fully black backed front projection screen material. 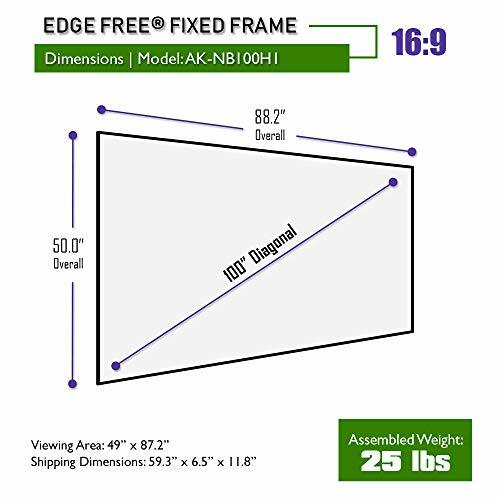 【EASY SET-UP AND CLEAN】：EdgeFree Design, Lightweight and Easy to Assemble 6-Piece Split Aluminum Frame Includes All Installation and Hanging Hardware. Mildew resistant, and this 8k projector screen is easy to clean with soap and water. Compatible with Standard, Short Throw, UHD/HD projectors. 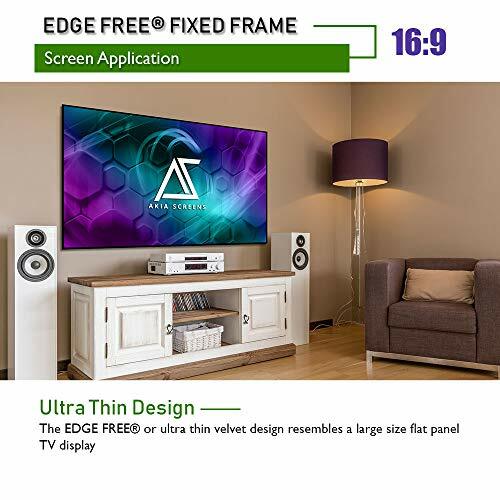 【WHAT YOU WILL GET】：Includes Full Installation Kit with Optional Use Ultra-Thin Bezel Frame and Sliding Wall Mount Brackets for Easy Hanging and Centering. 【Akia WARRANTY & TECH SUPPORT】：1 Year Manufactures Warranty by ISO9001 manufacturer since 2004 and Lifetime Tech Support by Email, Web Chat or Toll Free Phone Call by U.S Based Professional Service Team. 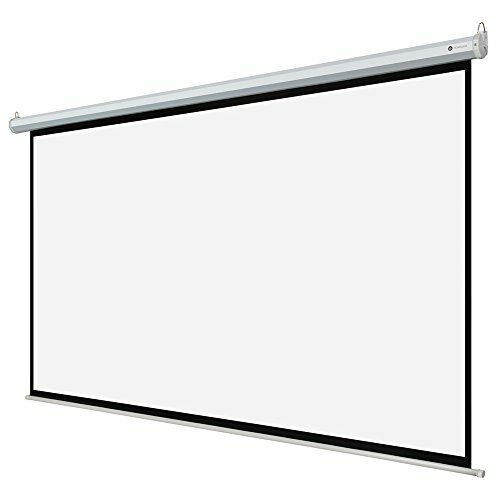 Motorized projector screens are convenient, as they can be mounted to a wall and easily opened or closed. However, the motorized feature does increase the cost of the screen. One benefit of this screen is that you do not need to install it. You can set it up anywhere, including in your multi-purpose room or a Sunday school classroom. It includes a six-piece aluminum frame that you can set up within minutes. You also have the option of installing the projector screen on a wall, using the provided ultra-thin bezel frame. There are a couple of disadvantages to this screen. Compared to the other options, the contrast is not quite as great. However, the screen material is fully black-backed and intended for HD viewing, including 4K Ultra HD. The second issue is the viewing angle. 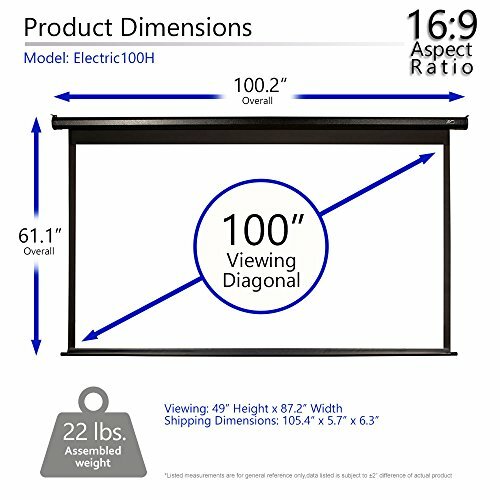 Most of the motorized projector screens discussed offer a 180-degree viewing angle, allowing users to view the screen from almost any seating position. With this screen, you get a 160-degree viewing angle. While this difference may not matter in a home theater, it may be important when delivering a presentation to a large group of people. The Akia Screens 100-Inch Projector Screen is not a motorized unit. It also may not offer the same contrast as the best overall motorized projector screen. However, it does offer portability and ease of use. If you want to produce a clear, vibrant image or video using a projector, you need something more than a white wall. 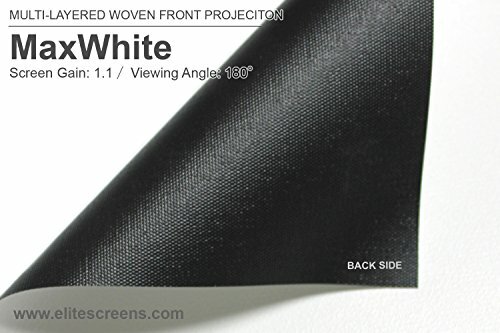 The best options for motorized projector screens provide a solid white backdrop for high-definition displays. The five options listed above provide the greatest range of features and value. There is something for everyone, from the best budget screen to the best overall option. When choosing a screen, consider your primary needs. 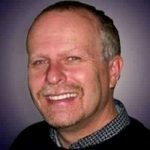 You may need to consider the size of the screen, ease of use, cost, and overall quality of the backdrop. The size of the screen is a good place to start your search. 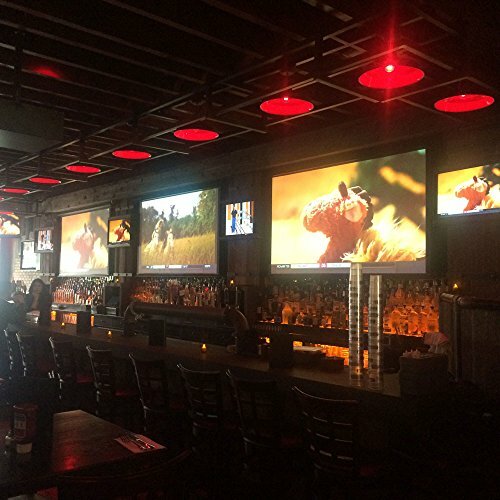 Most of the options provided offer between 100 and 120 inches of diagonal viewing space. 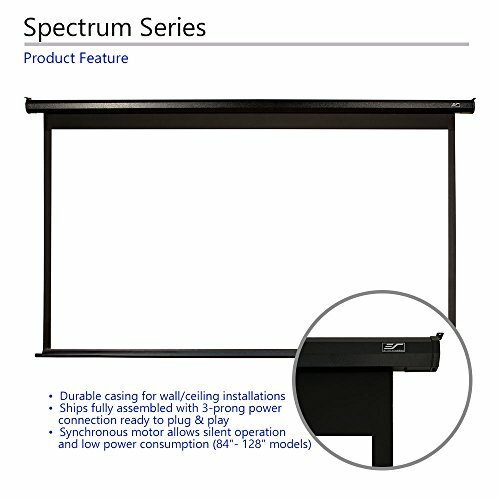 These screens are large enough for use in a medium-sized room, such as a conference room or church. The options provided are also easy to operate. Most of these projector screens include a remote control for operating the motor. With the press of a button, you can easily open and close the screen. You should also consider the cost of the screen. 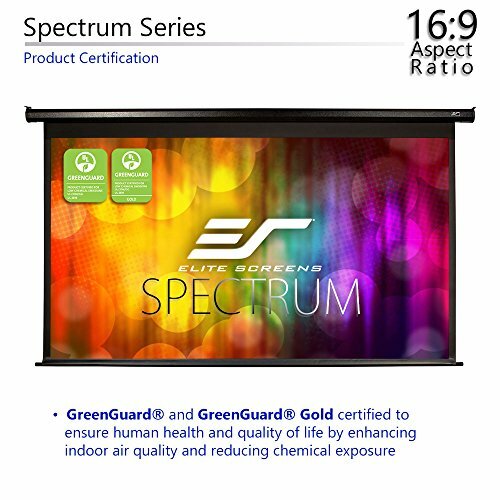 If budget is not an issue, the Elite Screens Evanesce B 120-Inch Projector Screen offers a high-quality backdrop. However, if you need to conserve your funds, the Homegear 110-Inch Projector Screen provides the best budget option. In the end, you cannot go wrong with any of the choices discussed. However, do not forget that the quality of your video also depends on the projector that you choose. If you want an HD display, be sure to use an HD projector.